Basically MTHFR is an anagram for the gene that produces Methylenetetrahydrofolate Reductase Enzyme. 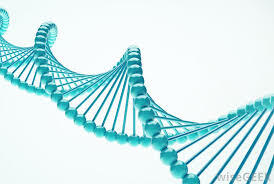 Methylation is a major metabolic process within every cell of the body that is a cycle that converts various nutrients to a form in the body that can be utilised for metabolic activities and to recycle components such as amino acids to enable metabolism, assimilation and detoxification to occur. 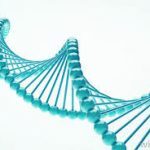 In addition to detoxification the methylation process is also responsible for various functions such as cellular repair, neurotransmitter production and an healthy immune system. Overtime, the inability to detoxify many toxins including chemicals, heavy metals and preservatives, food colourings, artificial perfumes, just to name a few, leads to many functional disorders. MTHFR is a common genetical variant and causes the reductase enzyme to function at lower than in individuals that do not present with the mutation. There well over 50 variants, but C677T and A1298C are the forms that have the most research. Two variants often will present with a 40%-50% reduction in the ability to make the necessary biochemical conversions to enable the metabolic process to continue effectively. Substances act as various enablers, such as co-factors to aid absorption, enzymes for breaking nutrients to their active form so they may be utilised in the methylation process, processing amino acids which are the building blocks of proteins (growth and repair, cellular repair). In short, the enzyme converts B9 or Folate to its active form. This reaction is required to in a multistep process that then converts the amino acid homocysteine to another amino acid, methionine, and an essential sulphur-containing amino that is an essential part of proteins and is part of mRNA translation and also necessary for metabolism. Additionally, methionine is able to assist with the emulsification of fats and reduces fat deposits in the liver. MTHFR positive cause what is termed a methylfolate trap which is characterised by vitamin B12 deficiency (or inability to break down B12), elevated homocysteine due to lack of conversion in the methylation cycle and reduced intracellular folate concentrations. Methylation is adversely affected by diet, deficiency of co-factors, medications such as antacids (proton pump inhibitors such as Nexium, Pepsin etc) lowers B12, oral contraceptive pill, diuretics, Leaky Gut (now medically coined gastrointestinal hypermotility) and poor digestion, Smoking (depletes folate, SAMe), Environmental toxins, genetic mutations such as MTHFR, CBS, COMT, MS/MTR). To complicate matters, there is a subgroup of either hypermethylaters or hypomethlyaters. 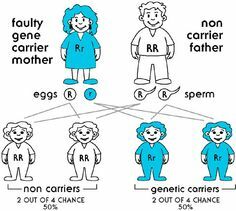 There also may be a combination of both alleles, either alleles, or single presentation. Essentially this is an important part of our consultation process because there is no definitive test and the symptoms often cross over, so careful observation here is required. There is a simple blood test available. If you feel you meet any of this criteria please request the test from your health provider.